I’m doing my best to hold myself to my promise of posting my favorite records — specifically classic Kompa records. And it doesn’t get much more classic than early D.P. Express. Here we have their 2nd LP from 1977, and it’s monster of a record. 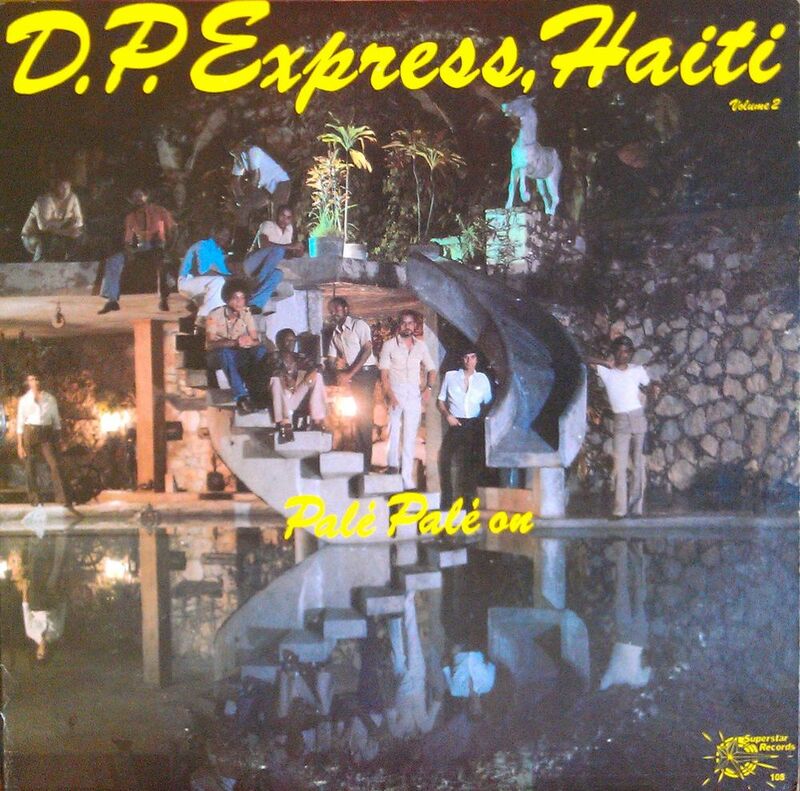 We got the boys on the cover chilling by at the grotto somewhere in the once regal neighborhood of Petion-Ville. My understanding is that D.P.E are most credited for being the first to bring synth sounds to Kompa music. On the surface to purists that could sound all bad (in the 80s synthesizers were notorious for taking the jobs from studio musicians). Instead they used the synthesizer as another sweet layer in addition to the incredible horns, guitars, percussion and vocals—like pouring caramel on ice cream. Have a listen to Vériteé for a great example of this. Choosing the best songs off this record is no easy task. But there was no way I couldn’t feature this scorcher, Croix Pa’m. Again checkout how they flex these early synth sounds elevating the music even higher. Now I saved what I consider the best for last. L’ Amiral is not the dance floor burner like the rest of the record, but this song resonates most with me. The rhythm is warm and steady, allowing the solos to just melt all over the place. Those guitars in the middle… like butter. Then towards the end when the chorus finally comes in… how do you not sing along with that? One little hope I have in posting these Kompa records is that non-Caribbean folks who only know Haiti as a natural disaster zone, rife with poverty and political strife, begin to appreciate the immense wealth of music, art and culture that flourishes there and in its diaspora communities. This entry was posted in PELANGA RECORDS! and tagged D.P. Express, DJ Pozole, Haiti, Kompa by Jacobo (DJ Pozole). Bookmark the permalink.